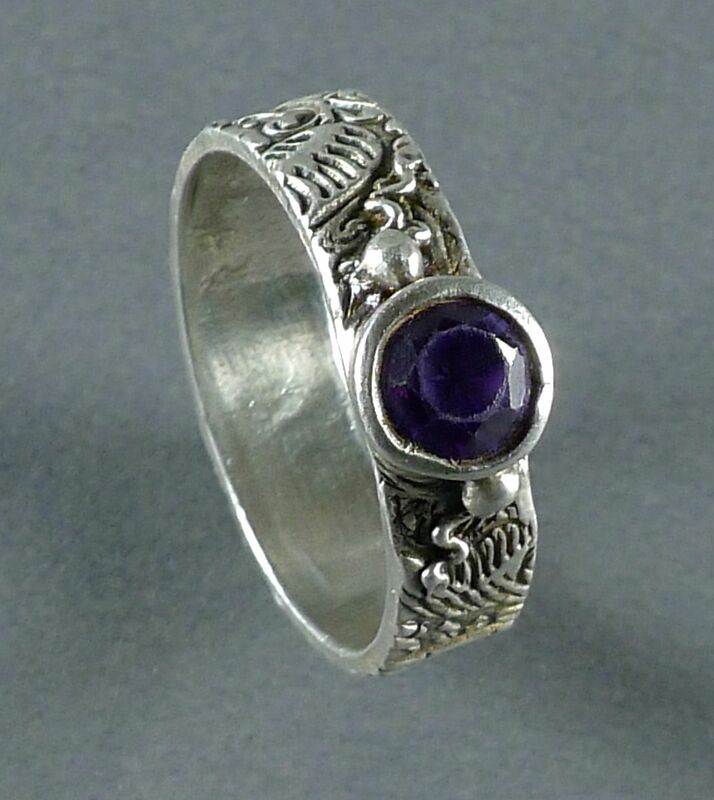 Woman's ring hand sculpted in .960 sterling silver with a textured 5mm wide band and bezel set 6mm lab grown amethyst. I can customize this ring by adjusting the width thinner or wider, and setting it with Topaz, Dark Blue Sapphire, and lab grown Ruby. Contact me if you have a specific stone in mind and I will try to accommodate your request. Dimensions: The 6mm stone sits 4mm up from band.